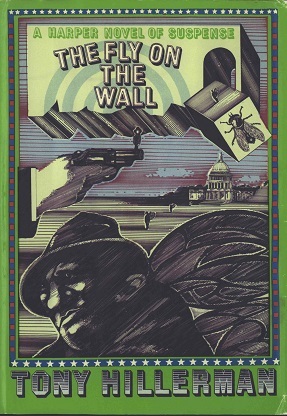 This is the first edition of The fly on the Wall, which was issued in hardcover. This edition was published by Harper & Row in New York City, New York. Format: Hardcover, 20.6 x 13.8 cm. Binding: Green-blue cloth bound cover, full-color paper jacket designed by Paul Spina.